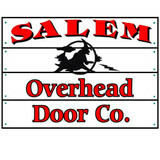 Salem Overhead Door Co Inc.
Back in 1974 at the age of 12 and not yet legally employable, a young boy went looking for a way to make his own spending money and help make a contribution to his family of nine. With some scrap wood, a couple of old hinges and a hasp he constructed a shoe shine box. Every Saturday he would go out and shine shoes for twenty-five cents each. One Saturday he came across a man with white shoes but the boy had no white shoe polish. He still tried though using a cleaner but instead of shining the shoes it started taking off some of the existing polish. He quickly realized what he'd done, he apologized and went on his way. Several hours and several shines later he had made enough money to buy white polish. He returned to his unsatisfied customer and asked if he could make right of his wrong. When he finished the shoes the man said, "Great job son", and gave him a dollar bill. Looking back on this now I realize that even at age 12 how important customer satisfaction was, is and will always continue to be to me, Bill VanLoon, that 12 year old shoe shine boy, now president of Salem Overhead Door Co., Inc.
Merrimack Valley Glass & Mirror is a family owned and operated full service glass sales and installation company that serves the residential, commercial and automotive clients in and around the Merrimack Valley area of Massachusetts and southern New Hampshire. Homeowners often underestimate the aesthetic value of garage doors, but they’re actually a great opportunity to boost a home’s curb appeal. That’s where garage door sellers and installers come in. Whether you are building your first home or remodeling an existing one, a garage door dealer in Deering, NH can help you choose a stylish garage door that will enhance your home’s exterior and provide security for your car and belongings. 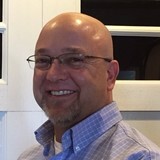 What kind of services do Deering, NH garage door dealers and installers provide? 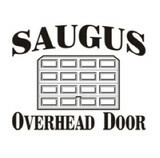 Find garage door sellers and installers in Deering, NH on Houzz. 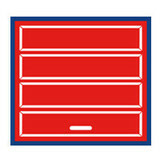 Narrow your search for Deering, NH garage door sellers and installers by selecting the nearest city or zip code. 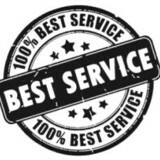 Look at portfolio and product photos, and read reviews to find the best Deering, NH garage door professional for your home.